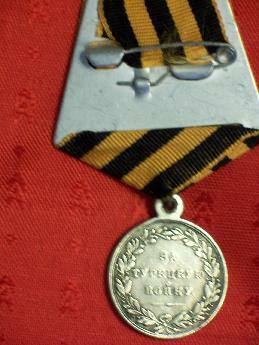 You are looking at a silver medal for the turkish war of 1828-1829. The Medal was instituted on October 1, 1829 during the reign of Tsar Nicholas I to commemorate the end of the 1828-1829 war against Turkey. This silver medal was awarded to officers, non-commissioned officers and enlisted men who participated in the war against Turkey. 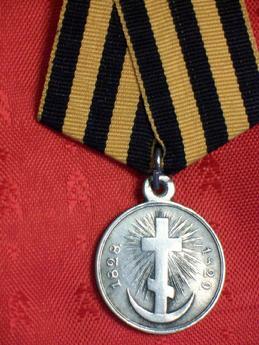 The obverse of the silver medal shows a Russian cross standing upon a Turkish crescent. The cross is placed upon radiating flaming rays surrounded by the dates: "1828" and "1829". In the centre of field the reverse of the Medal has an inscription signifying: "For the Turkish War" which is surrounded by an oak wreath.